100% Hyaluronic Acid can be used to improve the skin’s contour and reduce depressions in the skin due to scars, injury or lines. 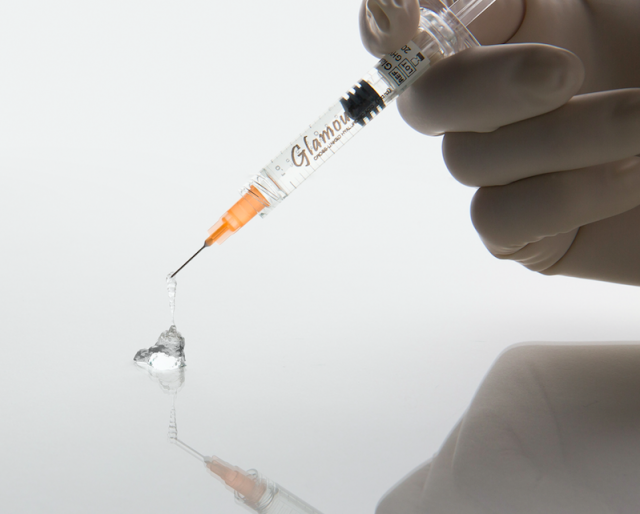 Hyaluronic Acid injected into the skin to help fill in facial wrinkles, restoring a smoother appearance. It could also used to increase volume and create a better facial contour. What is Mesh Cross-linking technology? 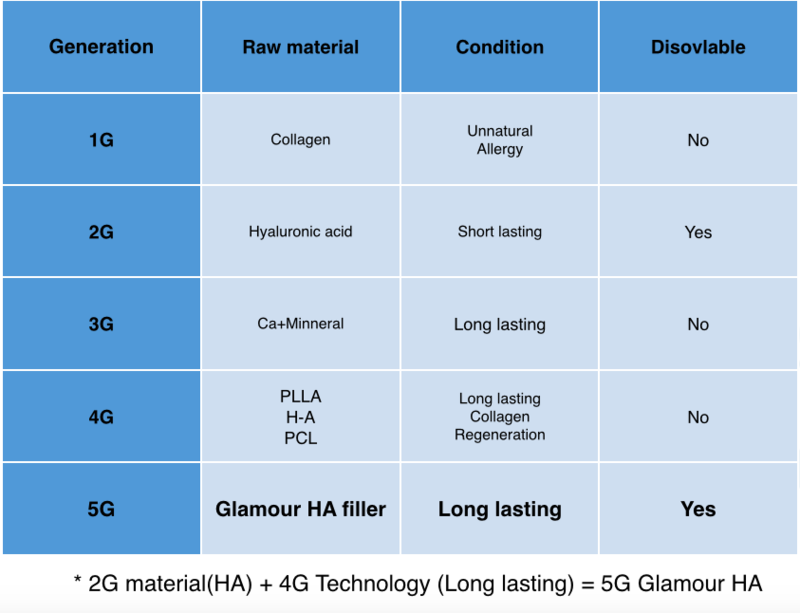 How is the sustainability of Glamour dermal fillers? Just as linking chains together makes a stronger structure, multi-cross linking HA together forms a super long lasting, and hydrating net over the skin and delivers water to parched skin over time. The high viscosity and cohesiveness of the product allows easy molding, and product maintains in good shape when it absorbs by the body naturally. Compared with the hyaluronic acid on the market, most of the products have technical limitations, so simply improve the maintenance of the concentration and the size of Hyaluronic acid particles does not making it long lasting. 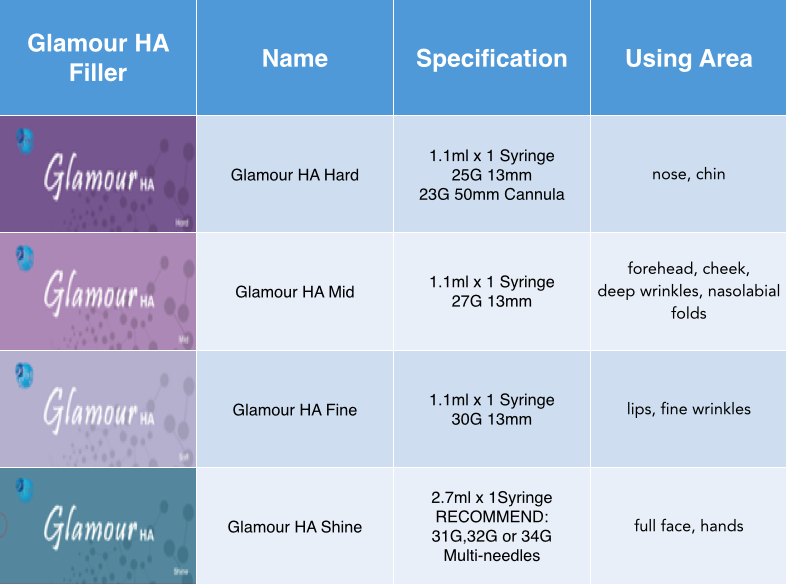 How is the safety of Glamour dermal fillers? Hyaluronic acid is a polysaccharides polymer consisting of amino and uronic sugar; it does not have the characteristic of a specie nor organ but is a substance largely available in living bodies such as in the eyeball, comb, skin tissue, placenta and shark cartilage. Our product is highly viscous ranging up to 11,000,000 cp. 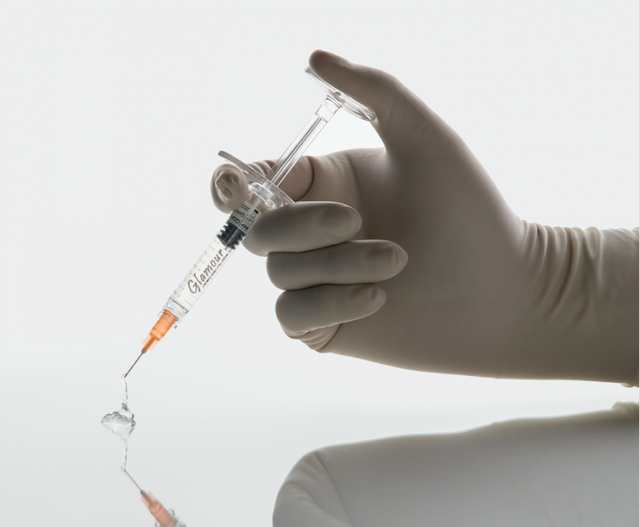 Strong viscosity allows for a long-lasting filler being migration resistant and contributing to the long-lasting effect. This is a comparison with 3 other different brands of hyaluronic acid. Our product is made of 100% Hyaluronic Acid，although the product itself is long-lasting to natural hyaluronidase, but our fillers are higly hydrophillic that can be easily dissolved through Hyaluronidase. How moldable is Glamour HA? After centrifugation for 30 minutes at 3000 rpm. Our product shows exceptional volume enhancement due to its outstanding hydrophilic capacity through its stable particle structure. Moreover even with a small amount the product allows for easy molding and with a greater volume enhancement effect. Highest viscosity (4,000,000 cp) with high cohesiveness, It allows for easy molding due to its high viscosity and small particle size. It is used for nose augmentation, chin augmentation. Medium viscosity and smaller particle size, it is used for deep folds and facial contours enhancement. A fine particle size and it is very soft, it could be used for wrinkles, lips and under eyes. 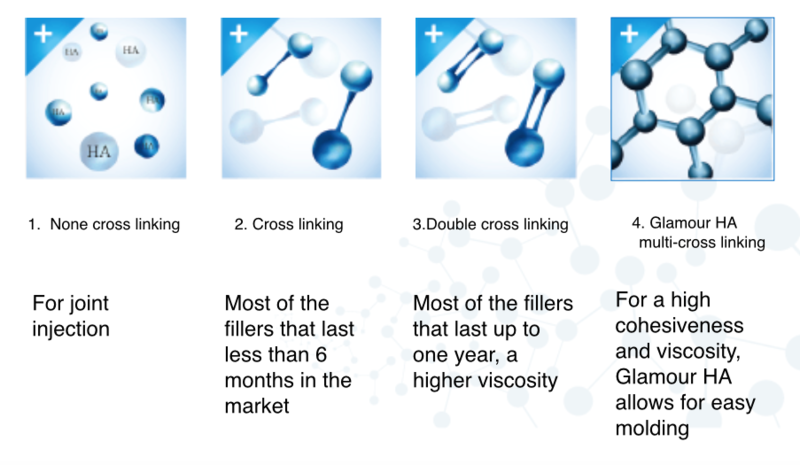 Multi cross linked hyaluronic acid has fifty times the water-binding capacity of natural hyaluronic acid! And that means skin is continuously hydrated, plump and healthy with long sustainability. It can protect skin while keeping it hydrated. This is the key for anti-aging, and healthy, supple skin. 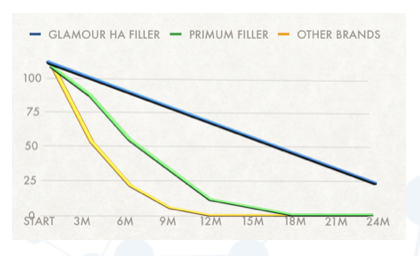 Multi cross-linked HA holds five times as much moisture in the stratum corneum as standard HA. 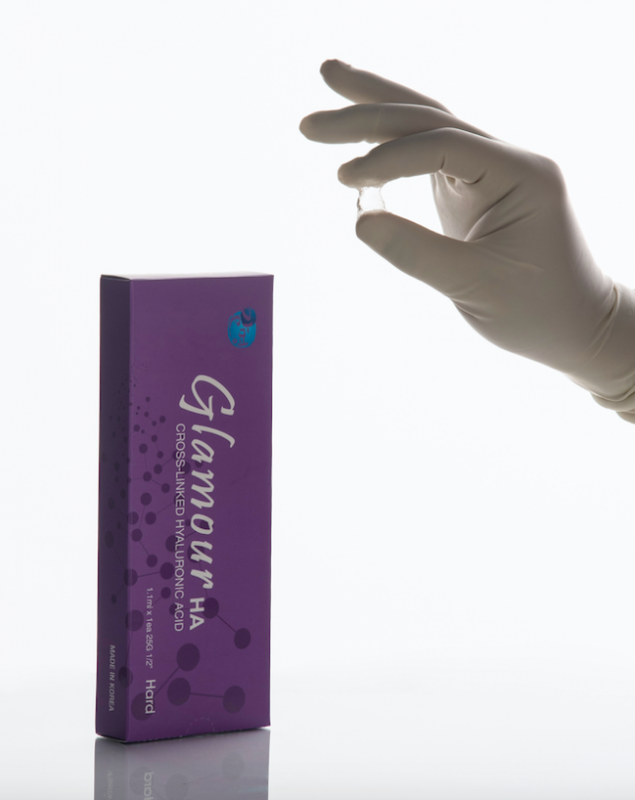 Glamour HA Shine is pure hyaluronic acid with multi-cross linking technology. Compare to the other brands of skin boosters in the market, most of them are none cross linking hyaluronic acid, these are usually used for joint injection, the sustainability is low compares to Glamour HA Shine. 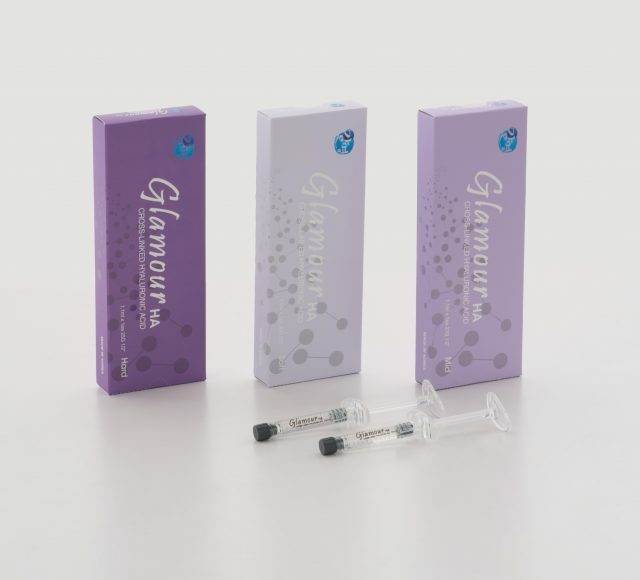 This entry was posted in Glamour dermal fillers and tagged glamour dermal fillers.